BRITAIN: Brexit Talks Deadlocked Ahead Of Critical Vote - Joe.My.God. 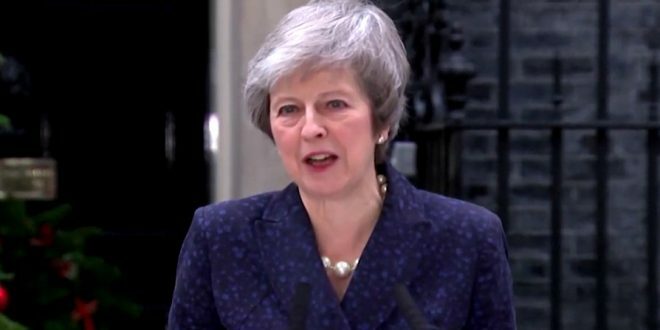 British Prime Minister Theresa May refused to admit defeat for her European Union divorce deal Monday, despite deadlocked talks with the bloc a day before Parliament is scheduled to vote on the plan. The House of Commons is due to vote Tuesday on whether to approve a deal that it resoundingly rejected in January. There are few signs of any big shift in opinion, with British lawmakers still divided over whether to leave the EU, and if so on what terms. The EU, meanwhile, is frustrated at what it sees as the inability of Britain’s government to lay out a clear vision for Brexit — and because it is seeking changes to an agreement that May herself helped negotiate. Amid speculation the vote could be postponed or downgraded, No 10 confirmed it remained the plan to go ahead with another “meaningful vote”, with the motion to be debated to be published later on Monday. Downing Street said the PM’s focus was “getting on with the work required to allow MPs to support the deal and to bring this stage of the process to an end”. The BBC’s political editor Laura Kuenssberg said the prime minister was “likely” to head to Strasbourg later – where European Parliament is based. The UK is due to leave the EU on 29 March but MPs rejected the withdrawal deal on offer in January and demanded major changes.